Art and painting have always played important roles in Anne’s life. After making the decision to leave her profession as a scientist, Anne returned to University gaining further Degrees in visual art and education. As a result, her interests in visual art and science form a nexus for her art practice. 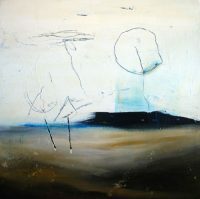 Anne creates paintings and 3D objects using a variety of media ranging from acrylics to plant fibres and found objects. Her works of art oscillate between quiet and contemplating to bold and powerful. Anne is interested in exploring the link between the two extremes. 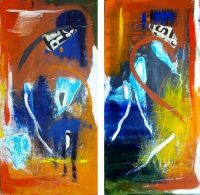 She has exhibited in New Zealand and Queensland, and has conducted successful painting workshops for teachers and children.